When you think of nature and adventure in Northern California most people think of Yosemite National Park, one of the most famous of national parks in the United States and popular among domestic and international travelers annually. While everyone rushes to the Yosemite Valley to see the famous and incredible landscapes there are whole entire areas that are just as beautiful, adventurous and incredible to visit just outside of Yosemite. Tuolumne County is home to the northern half of Yosemite National Park as well as the historic California Gold Country Mother Lode during the gold rush, the High Sierra, and the most direct route to Yosemite National Park through Highway 120. 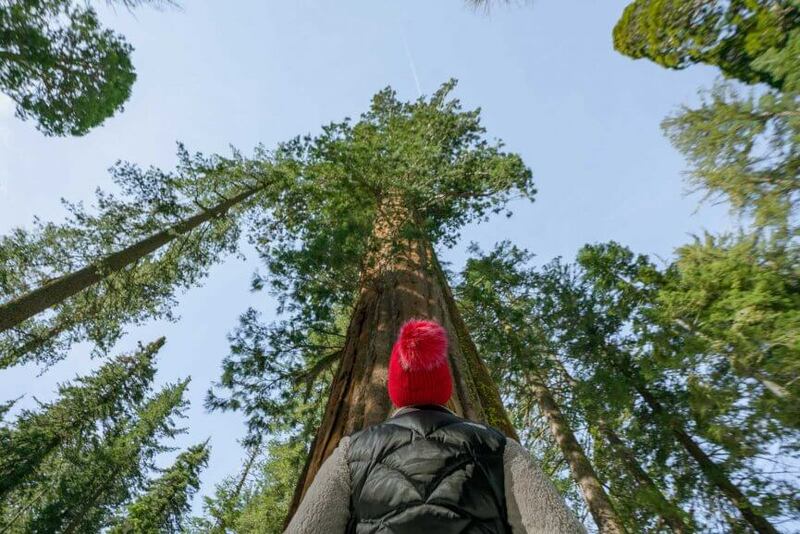 While visiting Yosemite activities we recommend giving yourself an extra few days to see all the awesome things to do around Yosemite in Tuolumne County that proves this area is so much more than Yosemite alone. We have been to Yosemite several times and only made it to the popular spots that everyone visits in the Yosemite Valley. This trip was completely different. While we did make stops in Yosemite, which shouldn’t be missed if you make it all this way, we did get to see a side of Yosemite that is less visited by mass crowds in the offseason on a friends road trip with two of our closest friends. 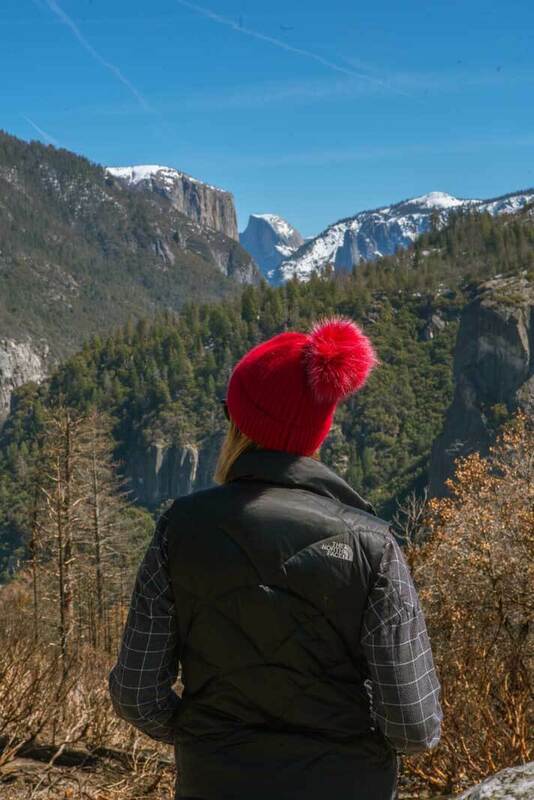 Check out our guide to things to do around Yosemite in Tuolumne, California to inspire your next visit to this gorgeous region full of gold country history and marvelous views. 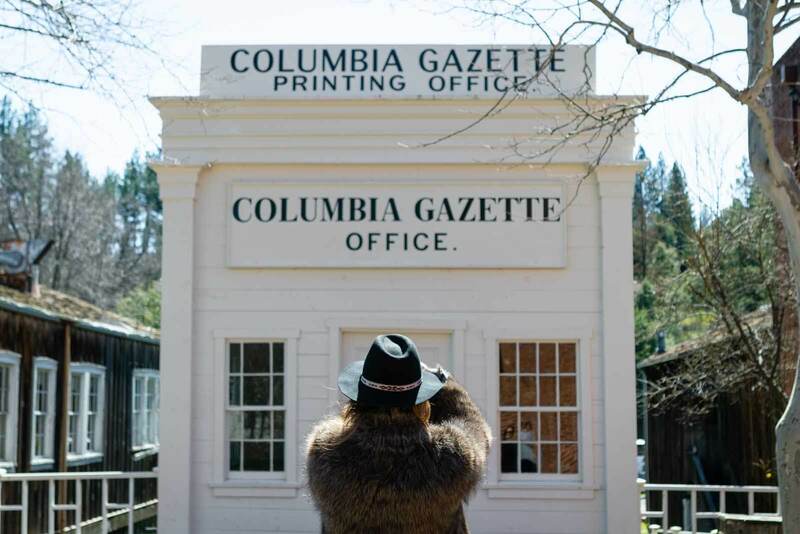 Step back in time to the 1850s in the heart of California’s gold rush in one of our favorite things to do near Yosemite. 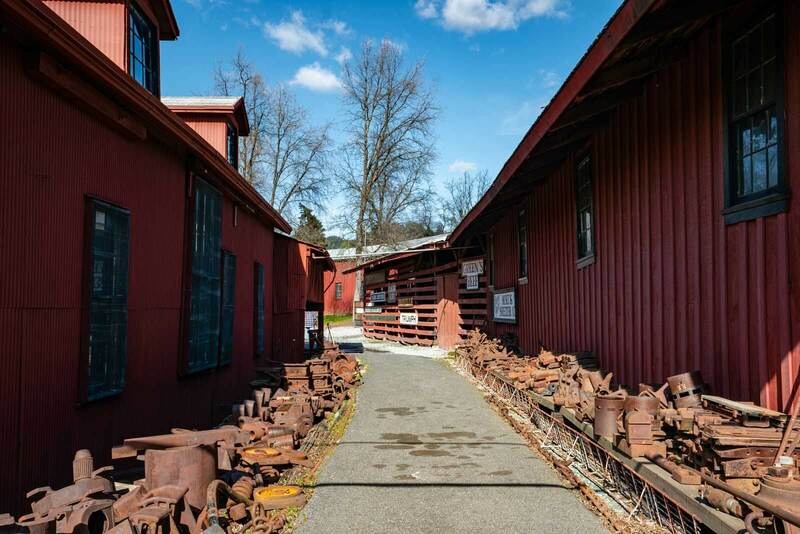 Columbia State Historic Park is a living, breathing example of a California Gold Rush town with the largest collection of buildings from the 19th-century gold rush and mining era. Besides the buildings, the locals walk around in 1850’s period clothing making you feel swept away in a wild west movie or tv show. If it feels familiar maybe that’s because you have seen it in film as this town has been used to film many westerns including Behind the Mask of Zorro, The Shadow Riders, Little House on the Prairie, High Noon, The Lone Ranger, and many more. The town is full of shops, boutiques, a working blacksmith shop, panning for gold, and even a family-friendly saloon that serves up sarsaparilla for the young ones. We easily could have spent a better half of the day here exploring but if you’re short on time here are the points of interest we recommend seeing. Columbia Mercantile 1855 – This is one of our absolute favorite stops in Columbia. 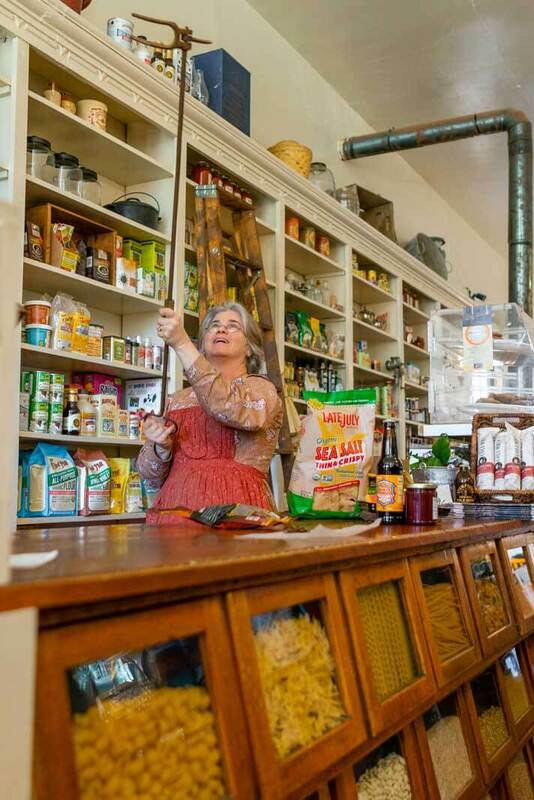 The owners are passionate about bringing as authentic of a 1850s mercantile experience to the modern day with their selection of food and goods to the tiny details in the store from the measuring studs on the checkout counter. This is a great place to pick up snacks, fresh sourdough bread, cheese, meats, and other goodies including sarsaparilla! Be sure to ask the owner about the details in the store, she is more than happy to share and so interesting to learn from. Jack Douglass Saloon – Don’t let the name fool you, this can be a family friendly place. Come here for a nice refreshment in an old saloon setting. There are non-alcoholic drinks for the kiddos or anyone who just isn’t a drinker. Ebler’s Leather & Saddlery Emporium – Another one of our favorite stops in Columbia was the leather shop. This is where to go if you need a new pair of cowboy boots or anything made of quality leather. Columbia Clothiers & Emporium – If you want to dress like the locals in their 1850s attire this is your shop. There is also an impressive collection of hats and antiques in here. We could have spent a lot more time in here just shopping all the cool old finds in here. Nelson’s Columbia Candy Kitchen – If you have a sweet tooth walking around this historic town then you can get your fix here. We loved the old fashioned candy shop vibe in here and the selection of sweets was rather impressive. Fallon House – This historic building is also home to the Sierra Repertory Theater with different shows circulating in the theater. The locals raved about the shows that were currently happening during our visit but we sadly didn’t have time to make it. There’s also an ice cream parlor here too and a hotel on the top level! City Hotel – This is where to stay in Columbia State Historic Park if you’re looking to spend the night in this area. The City Hotel is famous and is said to be haunted. Another charming town and awesome thing to do near Yosemite is visit Sonora. There are many different things to do in Sonora from hiking to shopping and admiring the old storefronts dating back to the 1850s. We loved the small town feel to this quaint downtown with its historic storefronts and gorgeous red church at the top of the hill at the end of town. There’s no shortage of things to do in Sonora from boutiques, antique shops, galleries, restaurants, bars, and cafes. Here are our picks of what to do in Sonora. 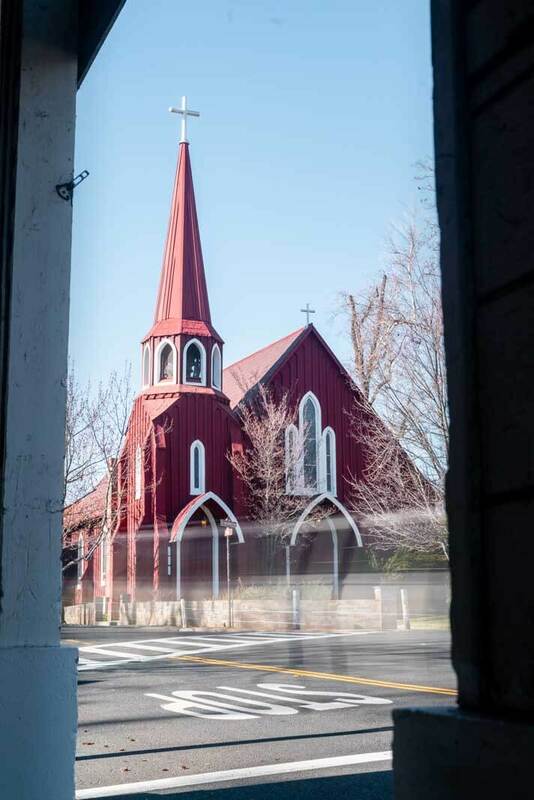 St. James Episcopal Church – One of the most recognizable buildings and best things to do in Sonora is check out the beautiful red church dating back to the 19th century in 1859. While we didn’t go inside, we couldn’t help but admire the exterior and find it to be a perfect photo spot. Dragoon Gulch Trail – An easy hike accessible from the city of Sonora through the gorgeous oak woodland. The trail has 3.1 miles of hikes ranging from easy to difficult, if you’re planning on just going on a leisure stroll there’s a hike for you while being surrounded by a canopy of oak trees. 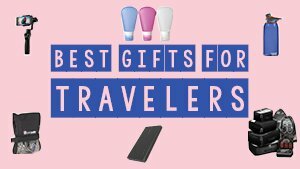 Mountain Home Gifts – One of our favorite things to do in Sonora was shop! Mountain Home Gifts was one of our favorite shops with all kinds of home goods and unique Yosemite souvenirs. This is the perfect spot if you love rustic and woodsy themed home gifts. Eighty One Bakery & Coffee Co. – If you need a refresher this is a great spot to get a cup of coffee. The adorable café doesn’t only serve up coffee but also has baked goods. Veterans Memorial & Military Museum – One of the best free things to do in Sonora if you’re a history lover is check out the Military Museum. The museum serves tribute to veterans and has a large collection of military goods. Serventes Saloon – Our favorite thing to do in Sonora and place to get a drink was visit the oldest saloon in town! Serventes Saloon has a local bar feel to it and also feels and looks the part of a historic saloon. 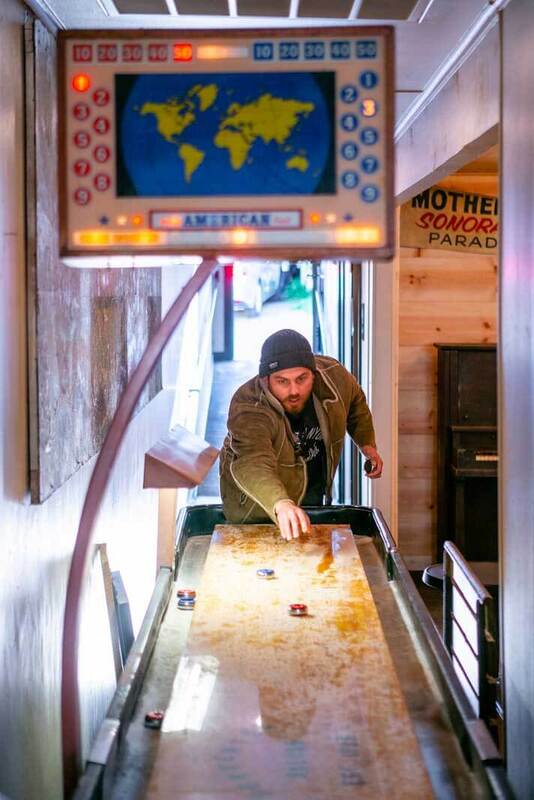 There’s even the longest shuffleboard game we have ever seen and a gift shop at the entrance. Be sure to stop here for some suds on your trip. Addictions Boutique – Another great place to get your shop on (for the ladies) in Sonora is Addictions. They have an adorable selection of trendy clothes and accessories. Another one of the best things to do near Yosemite and things to do in Sonora is visit the orchards of Indigeny Reserve. This 160-acre apple orchard creates hard cider, apple brandy, and fruit-infused vodka on site. 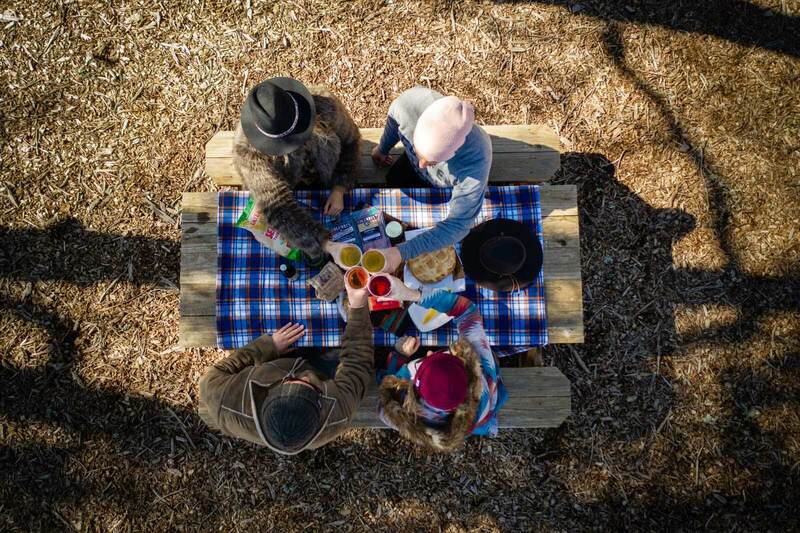 This is the perfect place to pack a picnic and enjoy the beautiful hills of Sonora at one of their picnic tables after a tasting. Their tasting room offers a few select ciders on tap including the seasonal draft. During our visit it was a pineapple cider that was incredible and not too sweet, we even got a bottle to bring back home. They also do tastings of their brandy and vodkas that are also available for purchase. We packed our picnic from Columbia Mercantile 1855 and enjoyed a peaceful afternoon. Don’t miss the gorgeous covered bridge while you’re here too! There are even easy hiking trails around the orchards if you’re looking to get a nice walk in. Another California Gold Rush Town in the Mother Lode and one of the best things to do near Yosemite is Jamestown and Railtown State Historic Park. 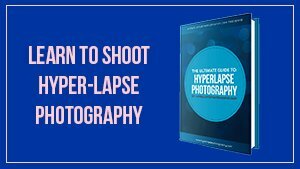 Famous for being used in popular Hollywood films and TV shows such as Green Acres, Petticoat Junction, Wild Wild West, and Hidalgo as well as scenes of Little House on the Prairie. 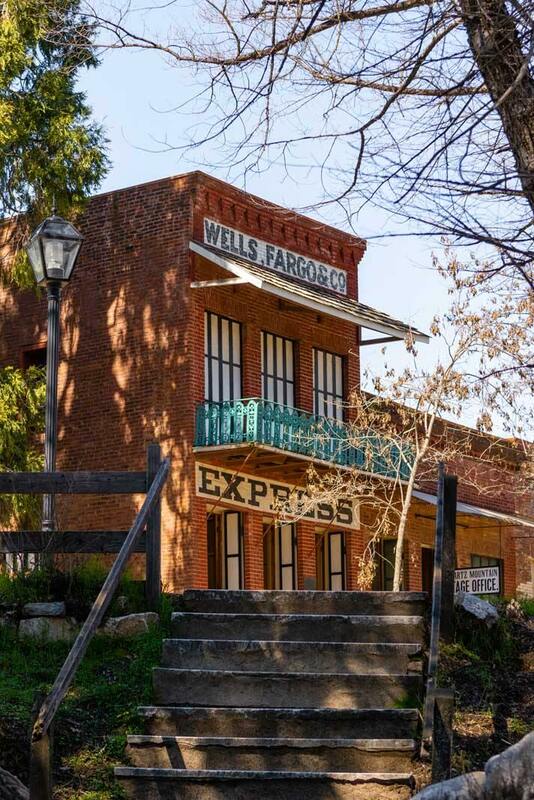 It’s fun to visit these old western filming location towns because they seem familiar even if you haven’t been because you may have not realized you’ve seen it before. If you’re interested in exploring the history of film here you can stroll along the ‘Walk of Fame’ where there are markers on a trail for many of the films and movies who filmed here. 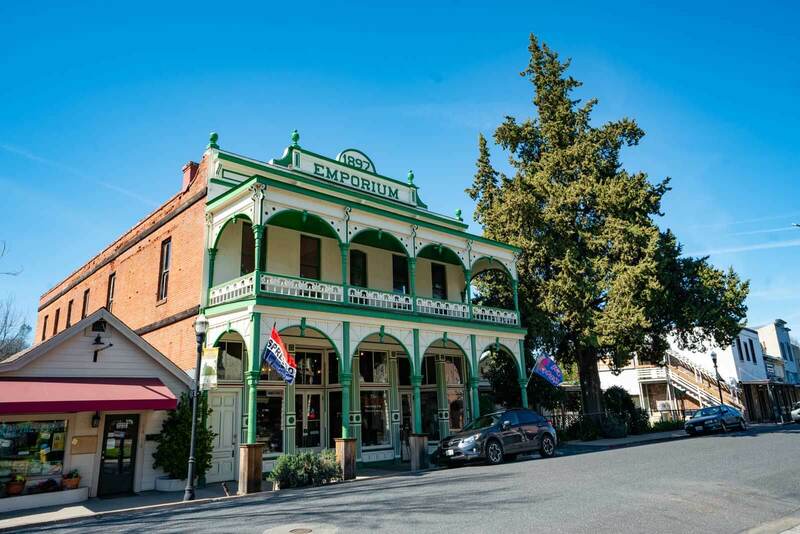 There’s also a historic Inn and two different local wine tasting rooms including Inner Sanctum Cellars and Gianelli Vineyards making it a perfect place to have a drink after doing some sightseeing. While you’re in Jamestown be sure to head over to the 2nd State Historic Park in the region, Railtown. This is another popular thing to do near Yosemite for those exploring the gold towns in the Mother Lode and film buffs. Dubbed as the “Movie Railroad,” due to how many times this area has been used as a filming location you can find different kinds of exhibits here ranging from movie props to historic trains and locomotives in the railyard. You can even ride the famous Sierra #3 train that is considered the movie star train. 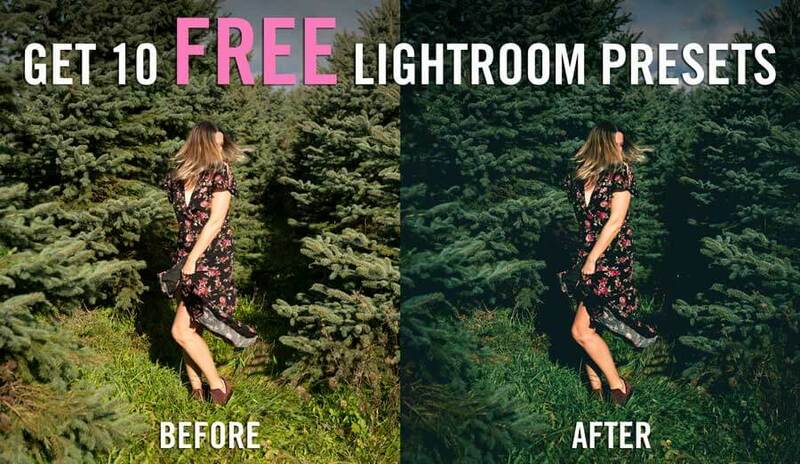 Sadly this is only offered on Saturdays and Sundays only during April – October so we didn’t get to enjoy this. The train ride is a 45 minute round trip that takes you on a 6-mile journey past filming locations for Petticoat Junction and the countryside of the Mother Lode countryside. If you’re a fan of the Back to the Future series you’ll be pleased to find the steam engine used in Back to the Future 3 calls Railtown home! 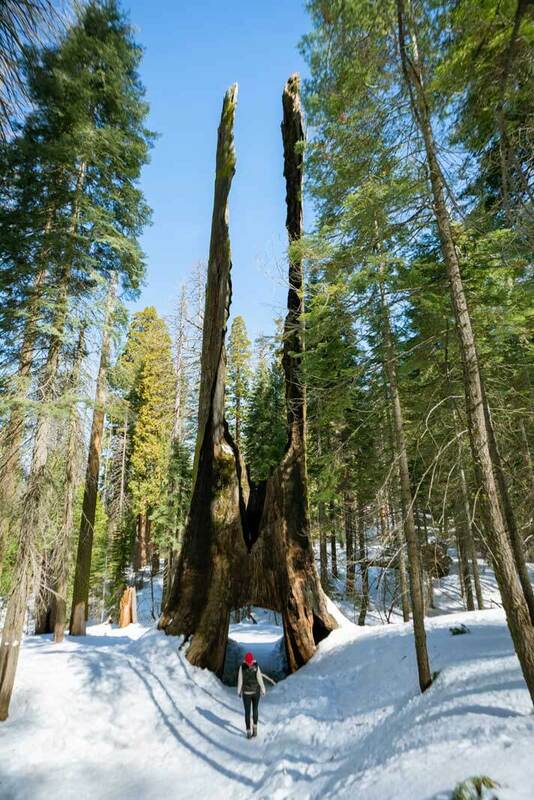 A town that has more trees than people at the entrance of Stanislaus National Forest named after famous authors Mark Twain and Bret Harte is another one of the best things to do near Yosemite. 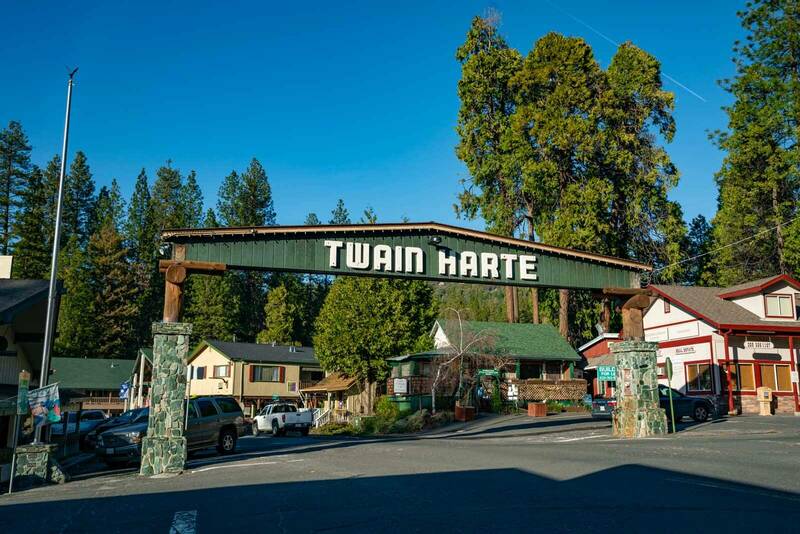 Twain Harte is a great place to base or use as a place to stop in between exploring the Stanislaus National Forest and the rest of Tuolumne. We stopped here at The Rock of Twain Harte for a beer break across from the giant beer sign after some sightseeing. We also HIGHLY recommend stopping at Alicia’s Sugar Shack for breakfast one morning. We loved the family operated and run business vibe here and their selection of great breakfast meals from traditional eggs and bacon to breakfast burritos and stacks of pancakes. They also serve up homemade kombucha with different flavors rotating out. This was our favorite breakfast spot in the area! 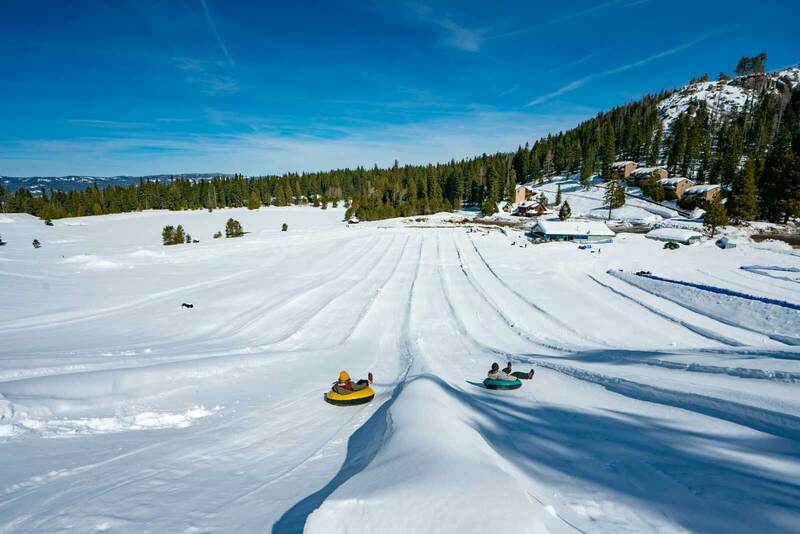 If you find yourself visiting in the winter months like ourselves then one of the best things to do near Yosemite is tubing on the hills of Leland Snow Play! Us along with our two friends spent hours here playing like kids in the snow with our tubes on the different slopes in Stanislaus National Forest. The best part is that you don’t even have to climb the hill yourself in between runs, they have an automated tow that takes you to the top of the hill. There are a few different runs to try, we liked asking the workers which order to do them because we wanted to do the calmest to the fastest in that order! We highly recommend coming on a weekday to avoid the weekend rush and crowds if possible. We pretty much had the runs to ourselves with a few others. They also have a cozy fireplace, bar, and kitchen so you can plan an entire day here. Check online or call ahead to make sure they will be open on your planned day of visit! 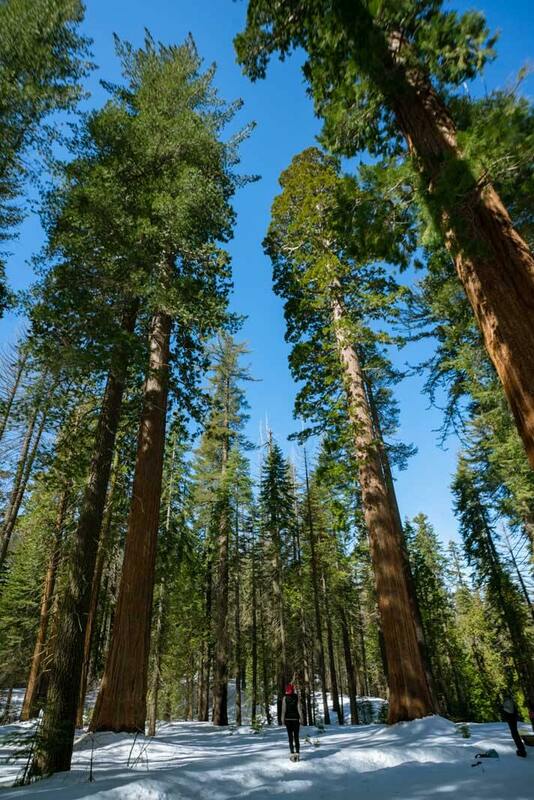 Located adjacent to the northwestern part of Yosemite National Park, Stanislaus National Forest is another one of the best things to do near Yosemite in Tuolumne County for nature activities. Made up of just shy of 900,000 acres and 1400 square miles, Stanislaus National Forest is one of the oldest national forests in the country! The area offers great hiking along volcanic and granite formations within the forest, water activities like white water rafting and kayaking as well as ski resorts. 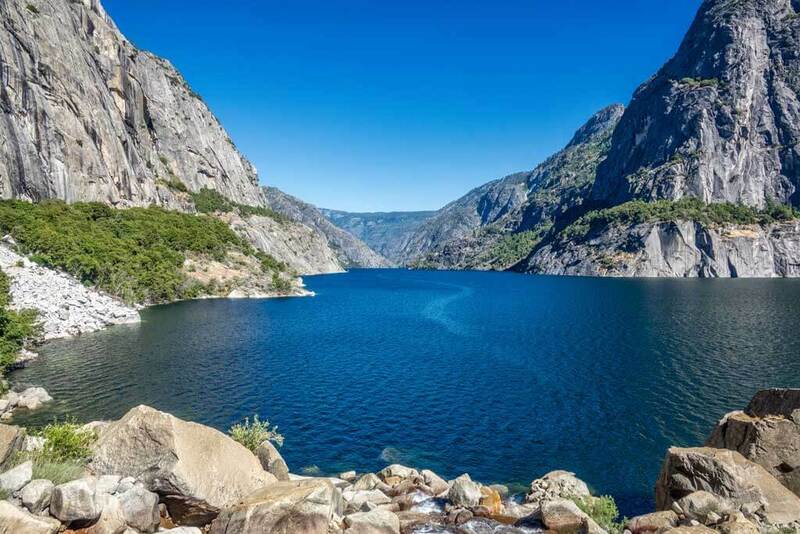 Not only a thing to do near Yosemite but actually in Yosemite Natioanl Park that has incredible beauty and tons of outdoor activities is Hetch Hetchy. This water reservoir was a valley comparable to the beauty of Yosemite Valley. Now a water reservoir and home to the O’Shaughnessy Dam that supplies San Francisco with drinking water, this area is known for having one of the longest hiking seasons with their own impressive waterfalls and gorgeous wildflowers. You can hike or backpack through the remote lakes, canyons, and giant peaks of Hetch Hetchy enjoying bird watching along the way. This is also a great place for other water recreation sports like fishing. Sadly, we didn’t make it here on our trip. However, on our return visit we’d love to do the 5-mile round trip hike to Wapama Falls. There are shorter or longer and more challenging hikes for all types of adventurers and is what to do in Yosemite to get away from the crowds of the Valley. It would be a shame to come all this way and not even visit one of the most popular and gorgeous National Parks in the country. 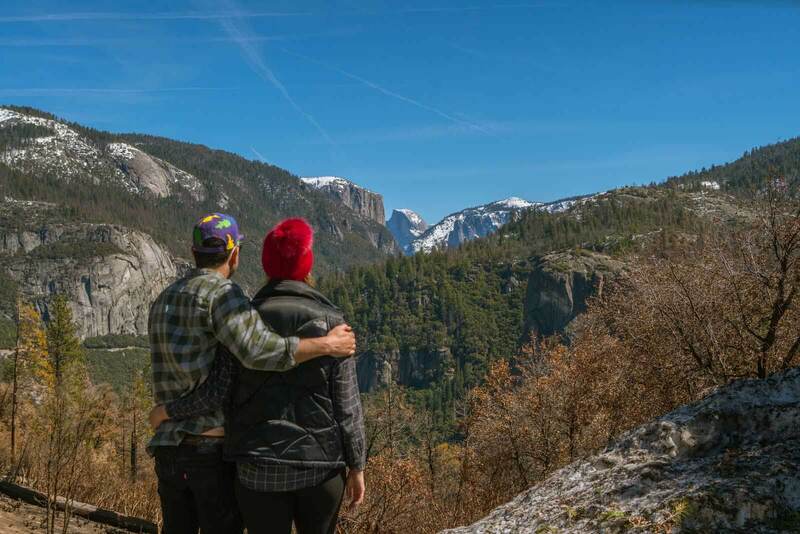 We recommend spending some time in Yosemite on your trip as well. We normally come up through the popular route on State Route 41 to the Valley, so coming in from Tuolumne County we came into the valley through a different entrance via the 120. This route rewards you with different scenic vantage points of Yosemite Valley’s iconic monuments like El Capitan and Half Dome. Some of the best Yosemite activities to enjoy are visiting some of the famous waterfalls in the Valley that are easily accessible like Bridalveil Falls and Lower Yosemite Falls. However, we highly urge visitors to go beyond the most popular places to see in Yosemite and visit some of the spots in Yosemite that are just as beautiful with less visitors. We recommend taking a tour with Echo Adventure Cooperative. Our guide Lori showed us a side of Yosemite we had never seen. Since we came in the winter we did a fun show shoe adventure through the Tuolumne Grove Pass near the Big Flat Oak Entrance of Yosemite. The path we snowshoed on was the original 120 route used to access Yosemite. This is no longer a road and hasn’t been used as one since the 1990s. Through our journey, we passed through giant sequoias including one that had a tunnel carved through it for cars to pass. The poor giant didn’t survive a giant hole cut through it from the late 1880s and is dead at the top but still an awe-worthy sight. We also passed other giant sequoias including a Dead Giant that you can actually crawl through. Lori and the guides at Echo Adventures Coop also do a good job of stopping and teaching you about the different plant and wildlife species in the area. They also offer customizable tours all year round from day trips like ours to multi-day camping trips, fly fishing trips, and even white water rafting. Many of their proceeds go towards sustainability and local projects to protect the parks. We love supporting companies who give back and care about their local natural treasures. There are many incredible options for where to stay in Yosemite during your visit. We recommend a few options below, all of which we either stayed at during our trip or visited. 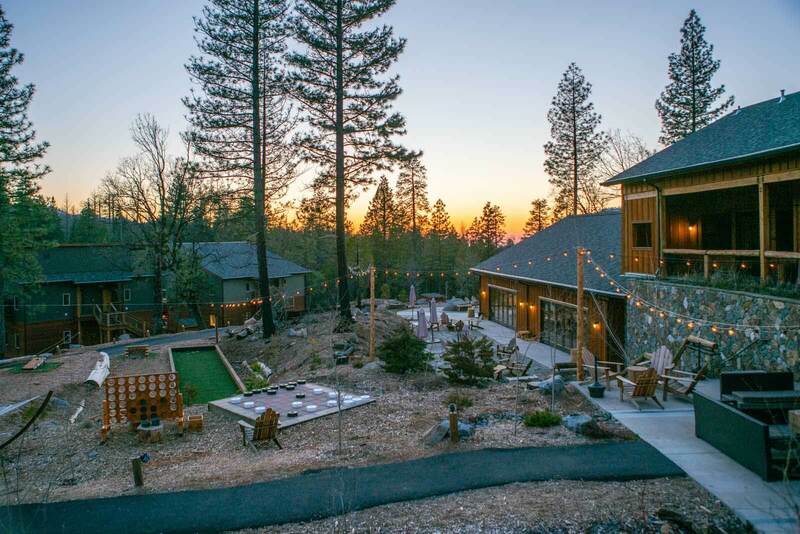 Set in the perfect location near the Big Flat Oak Entrance of Yosemite National Park this is an incredible option for where to stay in Yosemite. Bring your own camper or tent or rent one of their cabins, yurts, or even covered wagons for your stay! YES, covered wagons are an option! 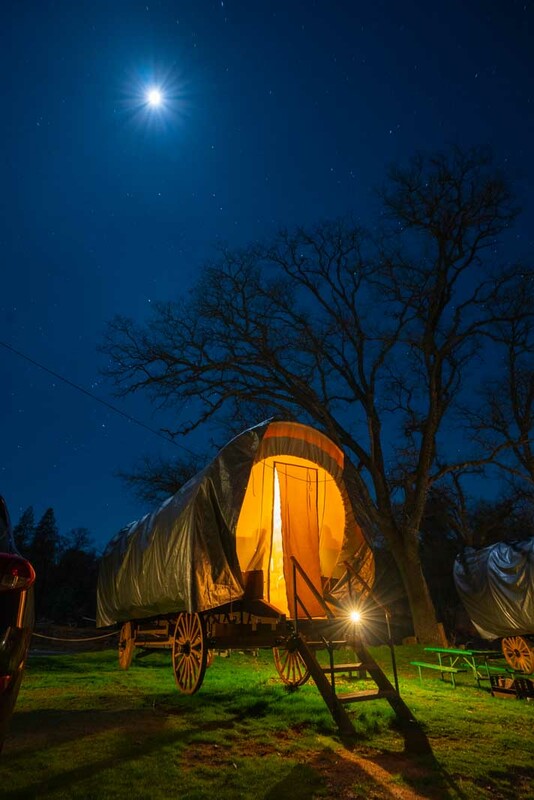 Enjoy an ultimate glamping experience in a covered wagon. We stayed in one of these surprisingly spacious wagons and didn’t want to leave. The beds were surprisingly one of the most comfortable we have ever slept on and the wagons can sleep an entire family and have heat and AC! There’s even a general store, petting zoo, and clean bathroom facilities on the property. This was one of those memorable experiences we will never forget. 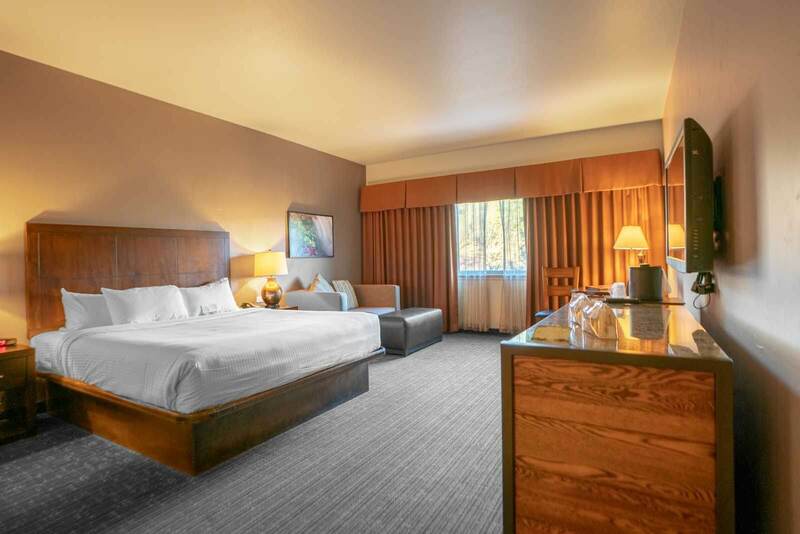 Another fantastic option for exploring all the best things to do near Yosemite in Tuolumne CA is the Black Oak Casino and Resort. The rooms are luxurious and the property offers an outdoor swimming pool and heated jacuzzi hot tub. The casino is in the building next door to the hotel and offers tons of entertainment and gaming options from your typical casino games to live music, and arcade for the kids, and restaurants. The best part is that you’re also just at the doorstep of Yosemite and nearby attractions. There’s also an RV park here and their own gas station! It’s also easy to get to Sonora from Black Oak Casino. We didn’t get to stay here but we did get to tour the property and eat at the incredible restaurant at Rush Creek Lodge. The property is located on the Big Flat Oak Entrance of Yosemite and offers sophisticated lodge offering suites and villas in the forest. 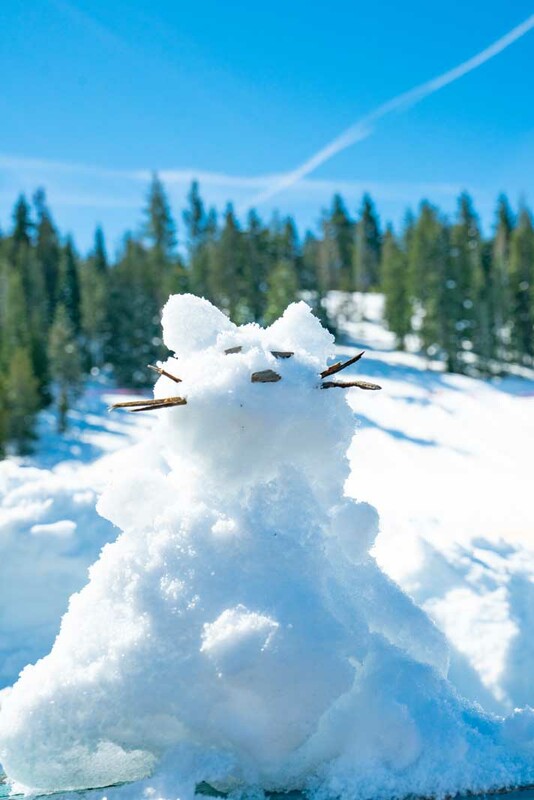 There are multiple outdoor heated pools you can enjoy year-round and free nightly s’mores and outdoor campfires. The property is gorgeous and this is another hotel we will be considering for future visits. We were guests of Visit Tuolumne County, but as always, all experiences and opinions are our own! 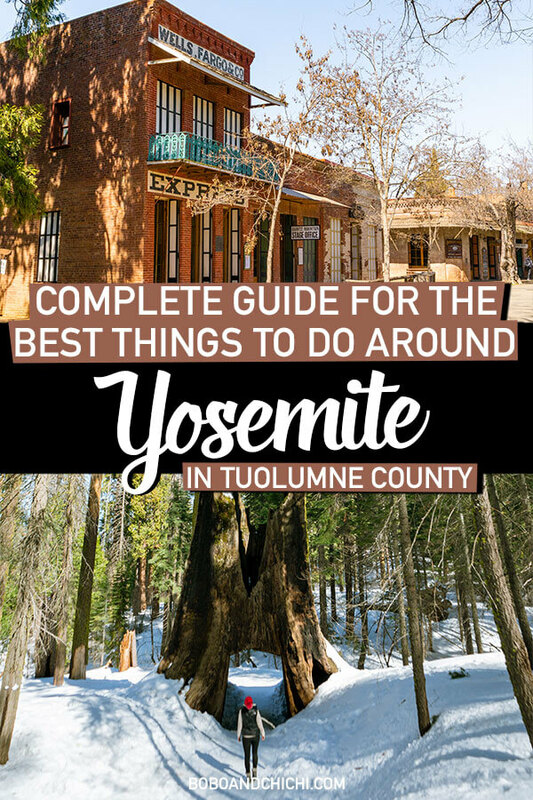 Liked this post on the best things to do near Yosemite in Tuolumne CA and nearby? 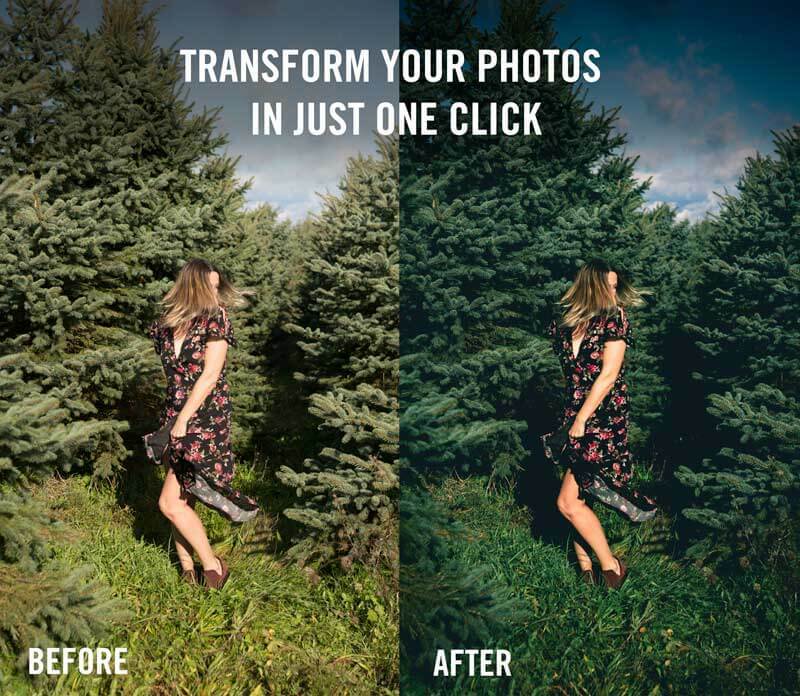 Bookmark for later or share the love below on Pinterest.